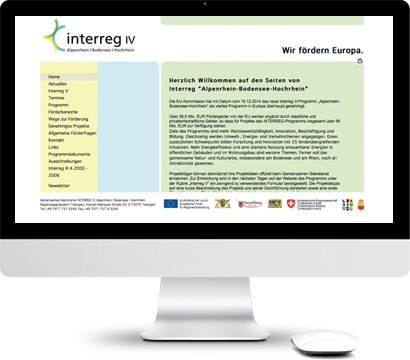 For the funding period 2007 to 2013 the Interreg IV programme Alpenrhein-Bodensee-Hochrhein had at its disposal a total of 23.871.170,00 € of subsidies from the European Fund for Regional Development (EFRD). From this sum there were actually paid out about 22.941.000,00 €, there could therefore be attained a payment rate of about 96%. On the Swiss side the budget of subsidies amounted to 7.745.000,00 €, from which there were actually paid out approximately 7.200.000,00 €, i.e. about 93% of the allotted total amount. Project partners from the Principality of Liechtenstein participated in the programme with slightly less than 800.000,00 €. The high proportion of actual funding is in itself a clear indication of the great success of the programme. Yet also the distribution of the individual projects across the six fields of action of the two funding priorities Competitiveness and innovation and Location quality and protection of natural resources is in this respect squarely expressive. From the total of 97 projects carried out in the programme (including Technical Assistance), 11 fell into the field of action 1.1 Promotion of innovation and knowledge transfer, 18 fell into the field of action 1.2 Promotion of networks and cooperation, 10 fell into the field of action 1.3 Promotion of human capital and cross-border mobility, 25 fell into the field of action 2.1 Promotion of location attractiveness, 15 fell into the field of action 2.2 Maintenance and improvement of infrastructure, and 17 fell into the field of action 2.3 Preservation of natural resources and the cultural heritage and protection against natural risks. Thus, each one of the fields of action could boast 10 or more projects, and the whole thematic width and variety of the two funding priorities were covered more than sufficiently. The cross-sectional objective of sustainable development was realized in a high degree, the programme region and its population and economy could be linked still more closely and have been changed in a sustainable way by the projects carried out, and also the second cross-sectional goal of equality of women and men and nondiscrimination was vigorously pursued by a group of gender projects and projects of social inclusion. Consequently, the results achieved are on the whole very satisfactory and are fully in line with the original objectives consisting in maintaining the competitiveness of the region and of the enterprises located there and of conserving and enhancing the attractiveness of the region as a place of living and labour activity. One of the main objectives of the Interreg IV programme was still the overcoming of the separating and cumbersome national borders of the programme region. This problem was tackled in a special way on an institutional level as well as on the level of the population by the multitude of the funded projects. Representatively, there can be named projects like “2000-Watt-Städte” which, following the guiding principle of energy conservation, linked 10 townships from Germany, Austria and Switzerland and was honoured for this in 2014 with the European climate award “Climate Star” by the European Climate Alliance; “D-CH-Literaturfestival”, which by now under the name “Erzählzeit ohne Grenzen” is a firmly established major annual event for authors from Germany, Austria and Switzerland and their public in 37 towns and communities on both sides of the German-Swiss border, and which has been instrumental in establishing exceptionally fertile intercommunal links – or projects like “Special Olympics”, which has become a magnet for sports-enthusiastic handicapped people and their relatives and friends around Lake Constance; and not least “Leistungsverbund Orchestermusik”, which, with its performances of Gustav Mahler symphonies and other selected compositions under the direction of the international star conductor Kirill Petrenko, created a rush with the public in Austria and Germany. A further focus of the programme was the promotion of the economy and its transnational linkage. This field was covered among others by projects like “Internationaler Wirtschaftsraum Bodensee”, “Plattform für Projekt- und Prozessmanagement”, “Expo Real”, “Creative Industries” and “Karriere im Süden” which all in one way or another contributed to enhancing the attractiveness of the business location Lake Constance and its surroundings, to linking enterprises and increasing the value creation potential of the region. Besides, the project “Internationaler Wirtschaftsraum Bodensee” was particularly active in presenting and establishing this business region internationally as a corporate unity by creating the identity-brand “Vierländerregion Bodensee” and by inaugurating the related online portal. Projects in the domains of tourism and leisure were especially numerous and multifarious. Among them there were hiking and biking projects like “Der Weg der Schwabenkinder”, “Erlebnisraum Hochrhein” and “Radrundweg Nagelfluhkette”, museum and destination projects like “Die Schwabenkinder”, “Naturpark Nagelfluh” or “Silvretta historica”, projects of regional linkage like “Internationale Bodensee-Weinroute” or “Der Bodensee – Die Wiege der europäischen Gartenbaukultur”, and projects which aimed at transnational professionalization of tourist enterprises (hotels, pensions) like e.g. “Tourismusexperte 2010”. Labour market problems were attended to by five projects which on the one hand were concerned with finding jobs for youths and integrating them on the job market, and on the other hand with standardized transnational academic instruction for qualified pedagogic personnel, and lastly with recruiting strategies for qualified technical employees within the wider European context as well as with recruitment and integration of qualified personnel in the programme region. The domain of gender mainstreaming was also represented by two projects which dealt with the creation of equal opportunities for women and men and the reduction of conventional behavioral role stereotypes. All four states participating in the programme took part in their activities. Environment and nature were further key areas in the project representation. Here, the spectrum encompassed the investigation of climate change, the renewed survey of Lake Constance for the purpose of improving shore planning and ensuring the supply of drinking water for more than four million people as well as long-term water protection, the protection of farming from the consequences of climate change, the conservation of archeological findings in the shallow water zones of Lake Constance, the effective and sustainable protection against inundation, the protection of cultivated landscape against unfettered construction, the investigation and preservation of lake trout, the investigation of micro-pollution in Lake Constance, the renaturation of floodplain forests, the preservation of orchard birds, the rewetting and renaturation of swamps, the preservation of biodiversity, the standardization of biological water assessment in Switzerland and Germany, and the creation of a useful transnational documentation on crop protection for farmers. The domain of public transport was represented with two projects. These two projects could achieve an overwhelming effect. They were “Tageskarte Euregio Bodensee” and “Vernetzung öffentlicher Verkehrssysteme”. The latter project dedicated itself successfully to the transnational interconnection of the public transportation systems of Vorarlberg and cross-border Switzerland. The other project was still far more successful. In its result, it is expressly invoked as one of the strengths of the region in the SWOT analysis for the programming period 2014 to 2020 in the sector Environment, energy and (sustainable) transport. Euregio Tageskarte has by now clearly established and proved itself as an important transnational tariff network of public transportation in the region and facilitates quick, efficient and inexpensive cross-border travelling to many inhabitants of the region and to countless tourists. In the field of social issues, health and culture – social infrastructure there could be acquired more than a dozen projects which dealt in a sustainable way with social integration and inclusion, with health care and methods of treatment for illnesses like adiposity, breast cancer or heart disease, with the creation of health networks in general, with the enrichment of the historical and cultural range of museums, with cultural events or services (“Kulturelles Erbe online”, “Kulturhandy ABH”) in the programme area. Also in these cases there was made definite headway, and the population has accepted readily and comprehensively all the offers made by these projects. The categories education and science were also strongly represented with about ten projects. Here, there must be highlighted the IBH (Internationale Bodensee-Hochschule), the biggest academic network in Europe with 30 universities in the four-state region Lake Constance, and its project “Schwerpunktsetzung und Profilschärfung der IBH” which by dint of a multitude of subprojects advanced the transnational interconnection of students and their teachers, the development of integrative cooperation among universities of different types, the creation of transparent and effective structures in knowledge and technology transfer, as well as the establishment of common foci in research, teaching, knowledge and technology transfer with a view to regional development. But there also were some projects concerning schools and pupils like “Schule im alpinen Raum”, “Kleine Schulen im alpinen Raum”, or “Musikgymnasium Schiers which united educational aspects with the acquisition of cultural skills and the promotion of economically underdeveloped areas. An industrial research project dealt with functional models of miniaturized sensor systems for telemetric data transmission whose usability extends from medical technology via logistics, surveillance technology, the regulation of important system components to identification systems of every description in which wireless transmission is preferred. This project (“MiniTel”) created an economic cluster that incorporates various research institutions and industrial firms from the funding region. Characteristic for the funding period 2007 to 2013 was therefore a pronounced thematic diversity and width of the completed projects. The spectrum of transnational cooperation ranged from culture via sports, tourism, research, development, science, innovation, gender mainstreaming, economy, crafts and the job market, archeology, geodesy, education and training, farming and fruit cultivation, environment, climate protection and climate change, energy reduction and energy efficiency, protection from natural risks, health, local supply, conservation and cultivation, transport, administrational cooperation, spatial development and urban planning, youth and family, museums and expositions to social inclusion. Thereby, the Interreg IV programme Alpenrhein-Bodensee-Hochrhein has made a highly valuable contribution to the primary objectives of the European Union during the last funding period and has substantially improved the situation of the people inhabiting the programme region.